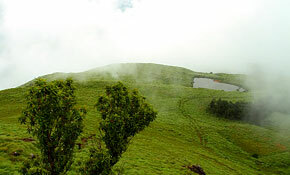 At 2100 mts above mean sea level, Chembra Peak Wayanad is the highest peak in Wayanad and is ideal for trekking. Climbing this peak is a challenging mountaineering endeavor and would take a full day The scenic beauty ofWayanad, Kerala which is visible from the top of Chembra, is very exhilarating. The surrounding areas offer exceptional photo opportunities. Camping on the peak is an unforgettable experience. District Tourism Promotion Council provides guides, sleeping bags, canvases, huts and trekking implements on hire. 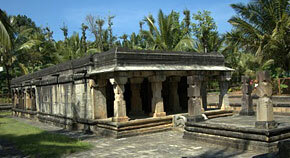 3 caves are located at a height of 1000 mts on Ambukuthi mala nearAmbalavayal, Wayanad . The new stone age pictorial writings on the walls of these natural caves at Edakkal are the evidence of the civilizations that existed in the regions in the pre-historic times. 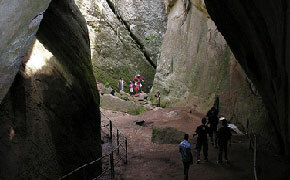 The caves can be accessed only by a 1Km trekking trail from Edakkal. Morning hours are the best time to visit these caves. Entry is permitted only up to 1700 hrs. 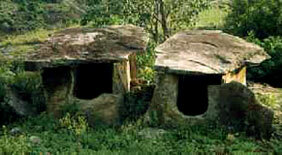 An interesting trek up of the Ambukuthi Hill near Ambalavayal town takes you to this fascinating neolithic cave site. Etchings found on the walls of these caves have drawn the serious attention of archeologists and historians worldwide.